Day two of my KIDS RECOMMEND books. 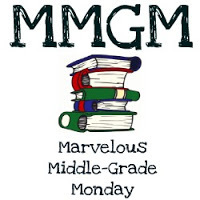 The MG books I choose to review come from authors, publishers, contests, and libraries. I only post ones I can recommend. Of course the MG books I enjoy might not be the favorites of the intended audience—those 8 to 13 years of age. I asked three middle grade kids what book they were reading or had recently read. If the book was new to me I told them I’d read the same book and post a review. I was hoping for maybe one match with the titles these kids gave me with the hundreds I’ve reviewed. All three young readers had suggestions of books I had never read. Last Monday I reviewed eleven-year-old Carter’s choice of EDDIE RED UNDERCOVER—DOOM AT GRANT’S TOMB. Today I’ll review 12-year-old Maya’s selection, FIVE DAYS OF FAMOUS. This book is a contemporary fantasy about becoming famous and living to regret it. Nerdy Nick Dashaway is about to turn 13 and is obsessed with his image. He’s not popular and wants to be in the worst way. His wish comes true and he’s thrown into a parallel world where all the same family, friends, and enemies are there but now he’s the richest and most famous kid in the world. Although Nick turns 13 during the story, his drive to kiss a girl he worships and overall worries about his perceived geekiness puts it more toward a YA slant. I never connected with Nick’s character and it might have worked better if he was turning 15. The early use of footnotes was also driving me a bit nuts, but I’m not a fan of footnotes in fiction. The Christmas time setting was fun as was the anticipated turn around in Nick’s thinking. Being popular is a desire of many MG kids so the book will hit home with them. It was also a look at how fame may not be such a great thing after all. When Nick makes a wish after the epic disaster that was the Greentree Middle School Talent Show, he doesn’t actually think it’s going to come true. But it does. Soon he has a whole new life–he’s rich, he’s popular, and girls laugh at all his jokes. He’s famous. But when he begins to miss parts of his old life, is it too late to get it back? The Christmas holiday names used for the towns (Greentree and Tinsel Hills) along with character names (Ezer, Plum, and Turtledove) gives the story a fun slant for young readers. They’ll learn to celebrate being who they want to be by accepting the gifts they already have. A good lesson for anyone. It’s an eye opening reminder about how things aren’t always greener on the other side of the fence. Plum’s a female character who is a smart girl who supports Nick in both worlds—a girl not willing to go mainstream. Shows how money can controls people’s emotions, friendships, and personality. I put the hat on under the hood, pulling it so low and the scarf so high that my eyes are the only thing left uncovered. Any other day I’d seriously choose death by hypothermia over wearing one of my mom’s Christmas creations. But since I’ve pretty much reached the place known as Rock Bottom, I figure I have nothing to lose. If I’m doomed to be a Brainiac Nerd for the rest of my life, I might as well be a warm and toasty one. It’s been a long held dream of mine to see one of my books adapted for the big or small screen, and while I’ve had 16 books optioned by Hollywood (11 of those are still currently under option and in various stages of pre-production) it hasn’t quite happened yet. This entry was posted in Reviews, Uncategorized and tagged Alyson Noel, Five Days of Famous, male protagonists, Middle grade, Middle Grade Book Reviews. Bookmark the permalink. It’s interesting what themes are important to kids — being popular and liked. You are really getting some insight into the books your students read. Maybe they will try a few of your suggestions. I think this would be a hit with middle-graders. It is something they all worry about. Nice that a good lesson is packaged in. I will check this out. Thanks for the review. I have never read fiction with footnotes before, so that’ll be interesting… Sounds like a great lesson about being grateful for what you have. Thanks for the review!